Orlando, FL – The Orange County Regional History Center will display the 49 Pulse Crosses and waive admission during Orlando Pride Days, Nov. 12 and 13. The Pride events were originally scheduled for October, but had to be rescheduled due to Hurricane Matthew. The Crosses will then be returned to the History Center’s closed preservation site as part of the One Orlando Collection, which contains more than 5,000 pieces curated from several memorials sites established throughout the region following the Pulse tragedy. The display will open on Nov. 12, five months since the shooting at the Pulse night club, which took the lives of 49 innocent people and injured dozens. 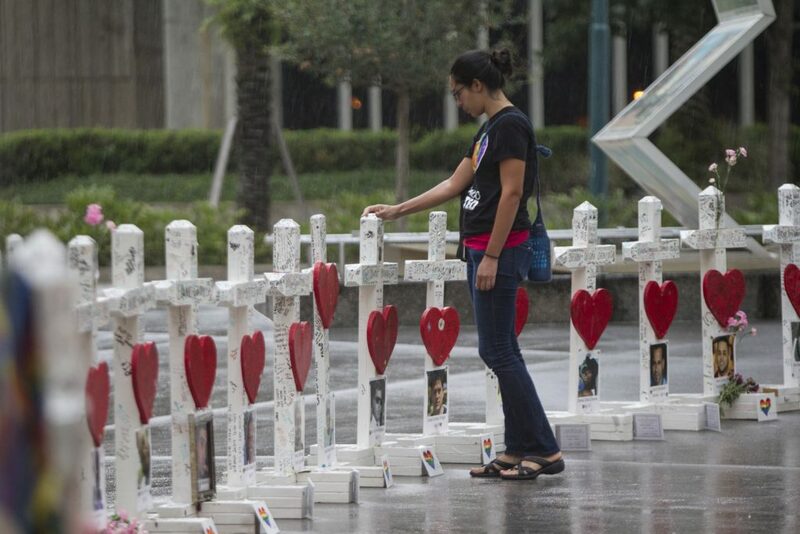 In the wake of tragedy, the Crosses, made by Artist Greg Zanis, became international symbols of condolence and love, representing each life that was taken. When: Saturday, Nov. 12, 10, a.m. to 5 p.m.
Sunday, Nov. 13, noon to 5 p.m.
Why: Orange County Mayor Teresa Jacobs will waive admission to the History Center while the Crosses are on display to ensure that there are no financial barriers for anyone wishing to view them. About the One Orlando Collection: The One Orlando Collection Initiative is a partnership between Orange County Government and the City of Orlando. As of October 2016 the Orange County’s History Center estimates that they had collected nearly 5,000 pieces, curated from the numerous memorials established throughout the region. The Orange County Regional History Center has been charged to preserve memorial items for the long-term memory of our community and to create a comprehensive historical record for current and future generations. The Orange County Regional History Center, housed in a historic courthouse at 65 E. Central Blvd. in downtown Orlando, features four floors of permanent and limited-run exhibitions. The museum is a Smithsonian Institution affiliate and accredited by the American Alliance of Museums. The Orange County Regional History Center is funded in part by Orange County Government through the Family Services Department under Orange County Mayor Teresa Jacobs and the Board of County Commissioners. The Historical Society of Central Florida Inc. is supported by United Arts of Central Florida and sponsored in part by the State of Florida, Department of State, Division of Cultural Affairs, and the Florida Council on Arts and Culture. For additional information visit: The Orange County Regional History Center.